y memories from (I think) the first edition of High End Show in Munich (after it moved from Frankfurt's Kempinsky Hotel), survived in few „capsules”. Each of them contains a part of me, but also – as I can see it now – sort of prelude to the future events. 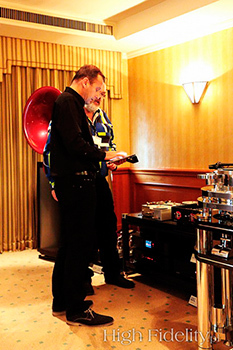 That's what happened in 2005 in Munich where I met for the first time (among others) Mr Fabio Camorani, the owner of AudioNemesis, Ms Eunice Kron, chief of KR Audio, Mr Hervé Delétraz – the boss of darTZeel and many, many others. It was also then when I first talked to Dirk Sommer, who, at the time, was a Chief Editor of „Image Hi-Fi” (coverage HERE), and today is a Chief Editor of hifistatement.net”. All these people were really nice and friendly and I started a cooperation with some of them right away. One thing they all had in common was a certain reservation about Polish audio market and Polish audio journalist as they were all convinced that there was no high end market in our country. So they all suggested that if I wanted to review some of their products it should be rather something not too expensive. I mean, they all said that in a very nice, indirect way, but it was what they meant. A year later even though I'd known many of them already for a year, their approach was still about the same. They were still nice, friendly and very professional but they still didn't see Poland as a market for their top products (coverage HERE). 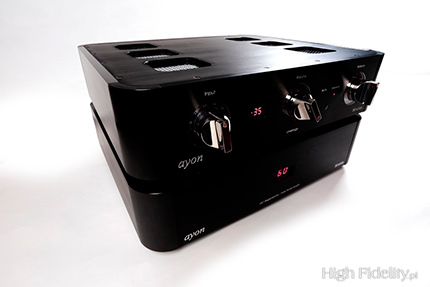 In 2006 I saw something that really stayed in my head for a long time: products of Ayon Audio. 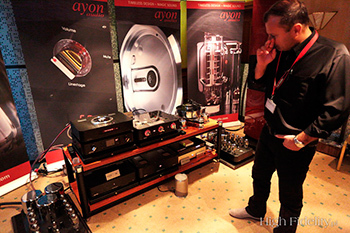 And again, just like a representative of Soulution later, someone for Ayon (probably the owner, Gerhard Hirt, but it was a long time ago so I can't be sure) didn't really think that any of their products could be reviewed by “HighFidelity” in a foreseeable future. 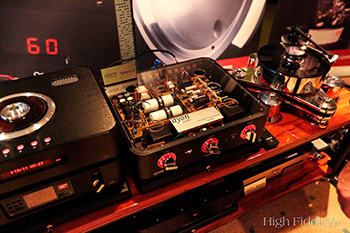 I was disappointed since I fell in love at the first sight with Spheris preamplifier presented this year. It looked great (you can see its picture in my Show coverage), sounded even better and immediately became my personal Holy Grail. As it turned out less then ten years was more then enough to completely change the (audio) world. Most manufacturers I met then now are present on Polish market and for many of them Poland is the second biggest, and sometimes even the biggest market in Europe. Acrolink, who's representative (at the time), Mr Bé Yamamura, advised me strongly against even checking such expensive cables out, today sells kilometers of them in Poland, and I personally have four of their top power cables in my system. A Soulution power amplifier has been a part of my reference system for a few years now. And Gerhard Hirt is a friend and an honorary member of Cracow Sonic Society. What's more, his preamplifier, Polaris (only second to the top of the line, Spheris), has been my pride and joy for the last few years. We live in interesting times and it is (unlike the meaning of this saying in China) a good sign. The Polaris preamplifier, in its few versions, has been a part, or rather a heart, the key element of my reference system since 2009, meaning since my review that was published in „High Fidelity” in April that year (issue No. 60, see HERE). Over this time it underwent several upgrades. The version under review was already marked with number „II”. 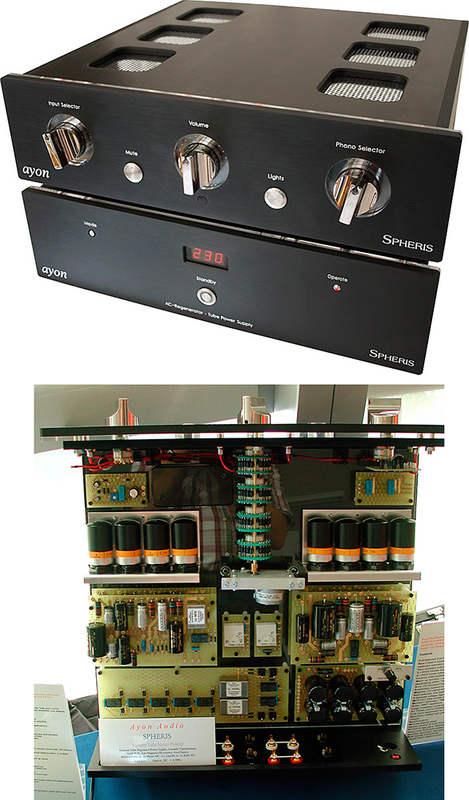 The gain stage was based on Siemens C3m penthode working in triode mode, it sported a tube power supply and a volume control based on step-up transformer. After the review I bought this device as I couldn't image my system without it. Some time later Gerhard with his engineers developed a completely new power supply, well – a power conditioner actually, still using tubes and generating high voltage sinusoid for signal tubes. Improvement of sound quality was significant but the character of the sound remained the same. I had no choice but to upgrade my preamplifier by purchasing the new power supply. The new version was now called Polaris III. And I was happy. Until, in 2009, I listened to the top of the line Spheris II. This was a game changing experience despite the fact that I knew, more or less, what to expect. After this review, knowing I couldn't afford changing my Polaris III for Spheris II, I asked Gerhard if he could upgrade my preamplifier. It was a custom one-time job, and the result was called Polaris III [Custom Version]. The upgrades included changing all passive elements for the same as used in top preamplifier, and also upgrading few other details. Progress in sound quality was significant and while performance was still not the same as offered by Spheris, I was happy again. 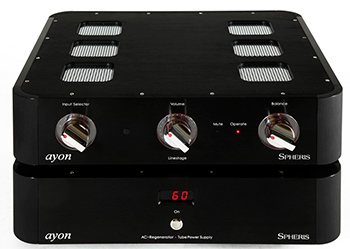 But I knew then already that sooner or later I would have to get myself Ayon's top of the line preamp. So even when Ayon presented Polaris IV, despite the fact I appreciated another progress of performance it introduced, I still wanted Spheris III. It took Ayon five years of hard work to develop improvements worth implementing. They concern mostly the volume control. It is still based on step-up transformers, but now these are controlled by sophisticated electronic system and contact relays instead of mechanical pot. Another element of this solution is an alphanumeric display on the front panel that allows user to read a current volume level. Gerhard Hirt during Audio Show 2014, Warsaw (an away meeting of Cracow Sonic Society). Dirk Sommer, Chief Editor of hifistatement.net whispering to Gerhard Hirt's ear. In the year 2000 one of the developers of my single-ended amplifiers visited me with a prototype of a free-wired preamplifier mounted on a wooden board. He succinctly asked me to completely unbiased listen to “the thing”. It always was his hobby to make experiments with exceptional and crazy concepts (on this board he has worked secretly for almost 8 years, and he never mentioned about it) and he knew all our top preamplifiers very well we were distributing at that time. Actually he also made the service of all foreign brands. But on this wooden board there were the cheapest components etc. and connections respectively and everything looked so different (even the C3m tubes) from a “normal” preamplifier which I was used to. Actually I did not really want to listen to this thing, but as luck would have it, my reference preamp struck and had to get the tubes changed. What I heard then completely turned upside down all my imaginations of the previous preamps. Abruptly also tonally many things were different, an airiness, speed, incredible sound colors, plenty of transparency and deep dimensional picture and everything so tangibly true or a spatiality I did not know before - and this from a “wooden board model” with simplest components, barely enough to make it work. I said to myself that in the design of preamps this happens only once every 20 years. We sat together and talked about a possible small limited series production, but first the wooden board had to give way to a real prototype housing and we needed an adequate power supply. Then we started working, first with the components. We started to change the components on a high level, but then noticed that this preamp (a special C3m triode/penthode design) reacted very stubbornly to components and hence again and again we had to listen to every component and try out new arrangements. The component-mix was very delicate and we reduced the unnecessary components wherever possible; but with every component less the total became “to the square” more difficult to master. Additionally also the C3m tube itself made life difficult: this posttube frivolously tends to microphony and therefore is difficult to handle for audio application. Its tonal properties are beyond any discussion, no small signal tube (e.g. ECC81, 82, 83, 88, 6SN7, 6H30 etc.) is able to hold a candle to it. For years we needed to reach deeply into our bag of technical tricks to eliminate this disadvantage. Until today we do not know, where someone seriously came to grips with this problem; however, immediately after the presentation of the Spheris there were 2 top preamps with C3m, but they disappeared after a very short time. I have also seen some “funny” power amps using a C3m as driver for the 300B, this never can work cleanly and satisfactorily. 5 more years passed until all critical points were finished or solved and the first serial Spheris was put on the market in 2005. 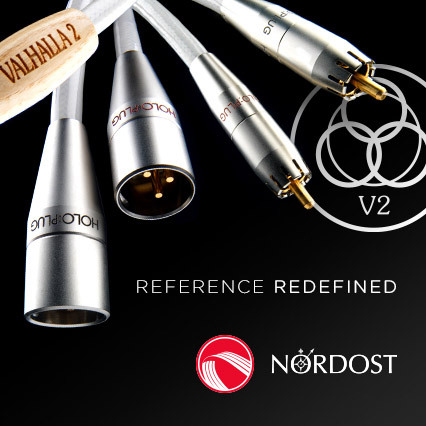 We had never thought, that we had to go into so many uncharted waters to reach technical maturity; incredibly many difficulties as every piece in the preamp had a big influence on the sound, many in-house purpose-built items as the design was completely different from everything previously known; we even had to change the housing and the layout 3 times until we were completely satisfied. But the first success of the Spheris showed us that we were absolutely right and over and over we were overwhelmed by the worldwide feedback. But they were 15 long painful years with many setbacks, until this concept could be developed from the first prototype design to technical maturity. This stimulated us further to promptly improve the original design and its peripherals around this circuitry. Another 5 years passed until the Spheris II appeared on the market in 2010; a completely novel tube power supply with re-generator (a re-generator which now was adopted perfectly to all internal operating voltages and we bypassed the bothersome re-transformation to 230 V as is necessary for traditional re-generators). And we developed chokes combined with film cap filtering, the peak of feasibility for a preamp power supply. Then came the next milestone: the step-switched 4-channel ELMA volume potentiometer with 192 resistors of the Spheris I had to be replaced. There was only one acceptable solution: super-permalloy transformers placed on the output (not one resistor in the volume control system); an extreme challenge as here a completely different requirement (voltages) had to be considered; in the sense of being different from positioning the volume control at the input as is the case of almost every conventional preamps. We used up an enormous number of test equipment of step-up transformers until the right tonal combination of number of coils and transformation etc. became evident. The Spheris II again set a landmark based upon the legendary Spheris I and was built for 5 years. By the way, every Spheris is assembled by hand and tested by only one person (no work-share with others) from A to Z. This assembly is extremely complex and a great challenge of craftsmanship. But there was still another „little something“ that annoyed us to make the Spheris II absolutely perfect down to the very last detail; we wanted a volume control without any mechanical switching support via potentiometer. The idea was to drive the 4 super permalloy step up transformers not by means of a mechanical potentiometer (Spheris II) but by a sophisticated electronic control system. Consequently, we needed an encoder instead of a mechanical pot, every single super permalloy transformer got its PCB with 24 reed relays each and an MCU with special software (i.e. in total 96 relays an 4 MCU components). This MCU receives the switching signals from the encoder potentiometer, processes them accordingly and with every operation always switches 8 relay contacts with a switching speed of 2/1000th seconds. The development of this system took 3 years and even our digital specialists had to tackle this task to scrupulously adopt the software for the precise 4 time MCU-control! 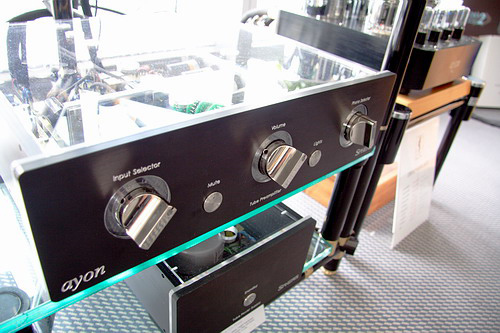 Thus, the most complex volume control ever incorporated into a tube preamplifier was born. 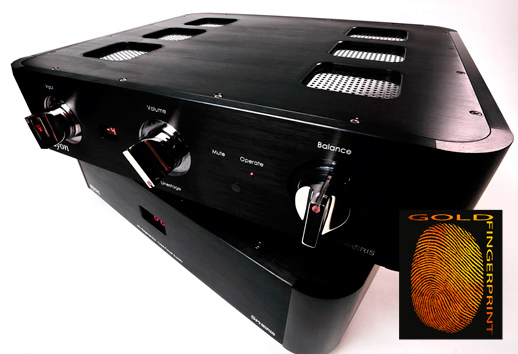 In 2014 at last the series production of the Spheris III preamplifier started. As of today the Spheris III really nor reasonably cannot be improved anymore; it is matured in itself for almost 23 years and brought to perfection as perhaps no other series tube preamplifier on the actual world market.